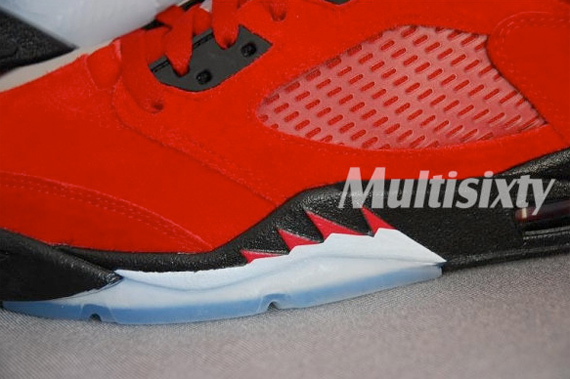 Last weeks teaser image of the “Raging Bull Pack” or currently being nicknamed the DMP 2 package, created a lot of buzz and speculation, but new pictures of the Air Jordan V (5) found inside the Raging Bull Pack can be viewed in detail. 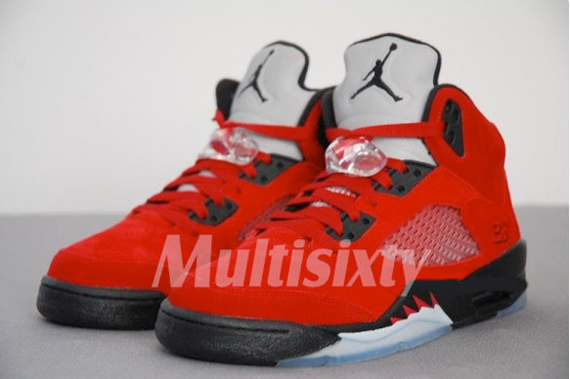 The most noticeable aspect of this Air Jordan V is its composition of buttery varsity red suede on the upper. Paired alongside the eye-catching color is black on the midsole, lace area, tongue and sole. 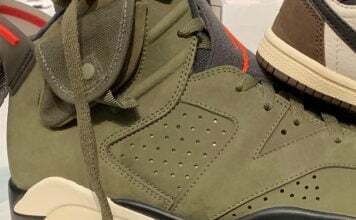 The first Defining Moments Package yielded the Air Jordan VI (6) and Air Jordan XI (11), but this time around it is two pairs of the Air Jordan V that will be releasing. 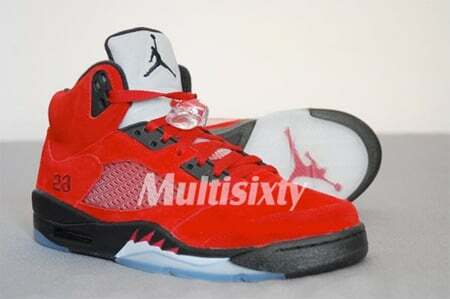 The release date has yet to be officially confirmed, but is slated for May 30th and will retail at $310.